We employ a proactive, hands-on approach to develop a thought leadership positioning strategy. We review and analyze relevant written or delivered content by the client including white papers, speeches, panel discussions and client newsletter articles. We identify key topics matching clients strong experience, interests and goals. 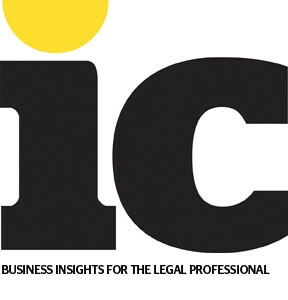 We keep an eye on the trends, news cycles and develop a series of timely topics that allow us to position the seasoned attorney as a thought leader in the industry before a variety of key target audiences including, corporate counsel, C-suite, CMO’s CFO’s, CIO’s and industry leaders across general business, banking, food manufacturing and more. We develop a core list of topics to be used during the program, however, remain vigilant on monitoring and keeping a sharp eye on growing trends in the industry. We continually connect with the client on new timely issues that can be expanded and incorporated into the program taking advantage of news cycles and hot issues yielding high profile opportunities. We position our client where he will best reach the decision makers targeting where they consume their information including magazines, online trade media, newspapers, and broadcast news source. We follow trends and gain an understanding of current topics that may tie into the client’s field of expertise. We secure earned media placements with a combination of television and radio interviews on timely topics and arrange by-lined articles and guest blogging opportunities that allows our client to expand on a topic in a printed format. We provide both editing and ghostwriting services for the client. We work with our client to share all earned media placements across appropriate personal, business and firm social media platforms and communication elements. We positioned the head of the labor and employment practice as a thought leader on today’s employment law issues increasing awareness for new referrals and prospective clients. We increased his digital presence by illustrating his wealth of subject knowledge and experience in providing innovative solutions and tackling cutting edge employment issues while addressing the rapidly expanding number of rules and regulations involving employment laws. We secured earned media placements across a wide range of media outlets targeting the desired audience. We also expanded the reach by integrate earned media placement results across other law firm communication channels.